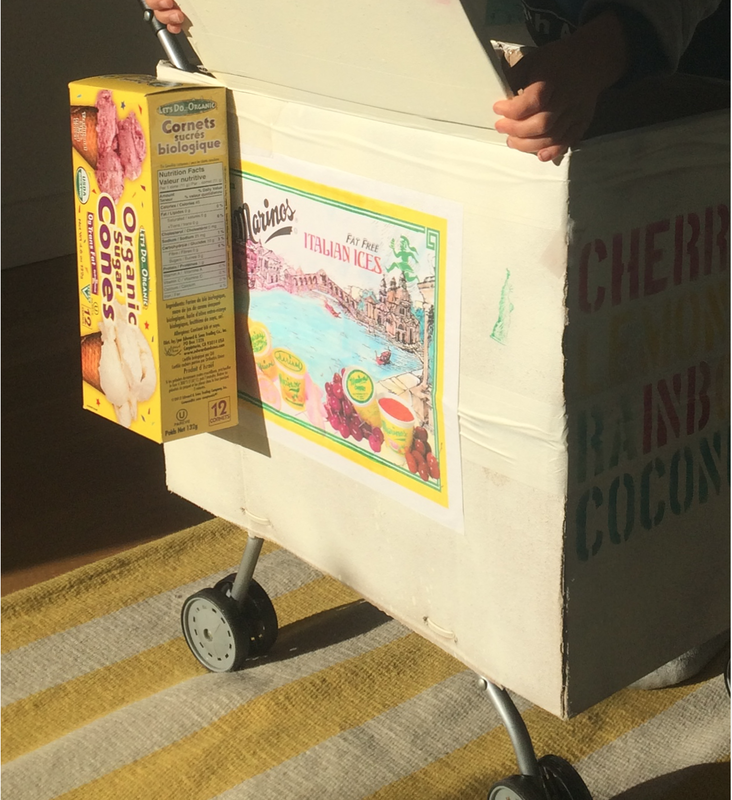 After adding a hand bell to the Icee Cart and putting on a fanny pack, we were ready to roll. People went legit nuts over the costume. The joy was awesome to see and made Halloween even more fun for our family. Kids and adults alike were down with our Park Slope Icee Lady. One woman gave Char a dollar for her tissue paper Icee. That was the most fun Halloween night out we've had as a family. Good times!